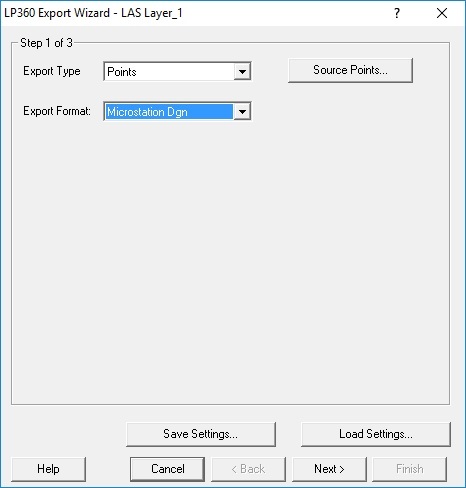 Point data can be exported into Bentley’s MicroStation design file format using the LP360 Export Wizard. LP360 uses a seed design file as the basis to create the new design file with the points in it. Hence, the working units of the seed file affect the generated point DGN file. The seed file used by the Export Wizard is found in “C:/Program Files/Common Files/QCoherent/seed.dgn”. 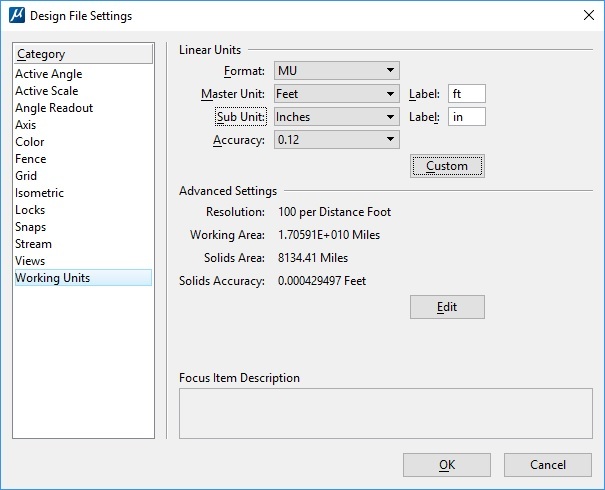 To ensure that the output point design file is using the desired units, etc, be sure to change the Working Units (MicroStation/File/Settings/File/Design File Settings/Working Units) for the seed DGN. Since the seed.dgn file is located withing the Program Files, then you will need to have administrative privileges on your machine, and open the seed file in an elevated MicroStation session, using right-click and “Run as Administrator”, or create a suitable seed file and be able to grant Windows explicit permission to overwrite the default seed file, prior to running the LP360 Export Wizard. This entry was posted in AirGon Tools, Tips and Workflows, LP360, LP360 Tools, Tips and Workflows and tagged design file, design file settings, seed, working units.